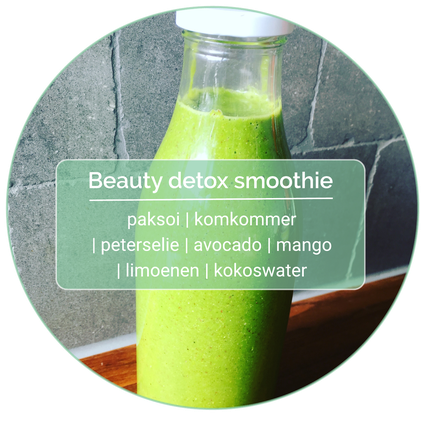 Beauty DETOX Smoothie - De website van missdetox! Deze smoothie geeft een enorme boost aan je huid. Het hydrateerd en kalmeert, helpt bij gewichtsverlies en cellulitis. Zorgt voor versteviging, elasticiteit en celvernieuwing. Als je deze smoothie regelmatig drinkt ga jij en je huid enorm stralen. Juice up your skin! Deze gaan we proberen, top! Hi colleagues, its impressive post about tutoringand entirely defined, keep it up all the time. Having read this I believed it was very enlightening. I appreciate you finding the time and energy to put this content together. I once again find myself personally spending a significant amount of time both reading and commenting. But so what, it was still worth it! Hello there I am so thrilled I found your website, I really found you by accident, while I was looking on Bing for something else, Regardless I am here now and would just like to say thanks a lot for a marvelous post and a all round thrilling blog (I also love the theme/design), I don't have time to look over it all at the moment but I have book-marked it and also included your RSS feeds, so when I have time I will be back to read much more, Please do keep up the fantastic job. Thanks for a marvelous posting! I really enjoyed reading it, you can be a great author.I will be sure to bookmark your blog and will often come back very soon. I want to encourage you to definitely continue your great work, have a nice holiday weekend!